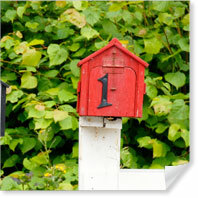 Direct Mail or Every Door Direct Mail® Printing Services? What is the objective of my mailing campaign? Do I have a specific group or a specific geographical area I want to target? If I want to target a specific group of prospects, do I have a list available or do I need to get one? Which type of marketing product do I want to send out as a mailer? When do I need my campaign to be mailed? Click the comparison tab to find the answers! EDDM® and EVERY DOOR DIRECT MAIL® are registered trademarks of United States Postal Service. NextDayFlyers is an independent provider of Every Door Direct Mail® products that is not associated with nor sponsored by the United States Postal Service. 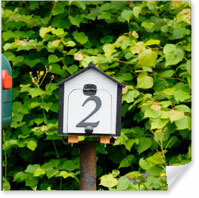 Advantage Large or small targeted mailings with a real address and recipient inkjetted on each piece. Different postage rates available. Small saturation mailings going to one local Post Office of less than 5,000 pieces. No name or address needs to be inkjetted. One postage rate at $0.183 per piece. Recommended sizes that apply Postcards, rack cards, brochures and custom products (i.e., folded cards, greeting cards and booklets). 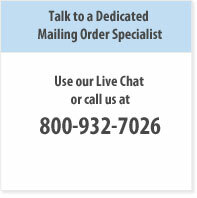 Typical Every Door Direct Mail® Printing sizes include: 6.5"x9", 6.5"x11", 8.5"x11" postcards. “ This was an awesome transaction. Web site was easy to use and very easy to understand - simply input what you want, upload your files. Bada-Bing! A few days later, the postcards were in the mailbox. mailing them sooner than expected!